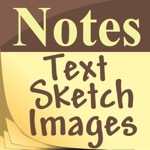 📖"√ Notes" introduces a new idea for Notebooks through which you can add Text Notes, Sketch Notes, and Images per each Note. 📝It's Elegant, Customizable, and Reliable. This app occupies the 1352160th position in our ranking with 19 points. Other apps from iOS Pedia Inc.